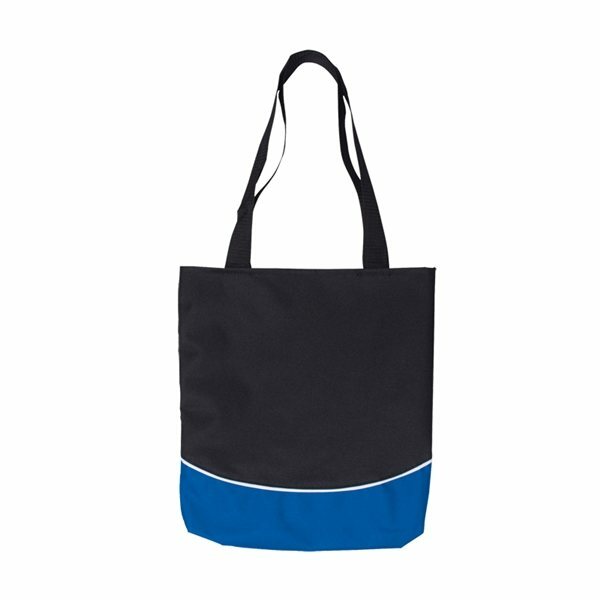 Durable 600D Polyester tote bag with bottom color curve accent panel. 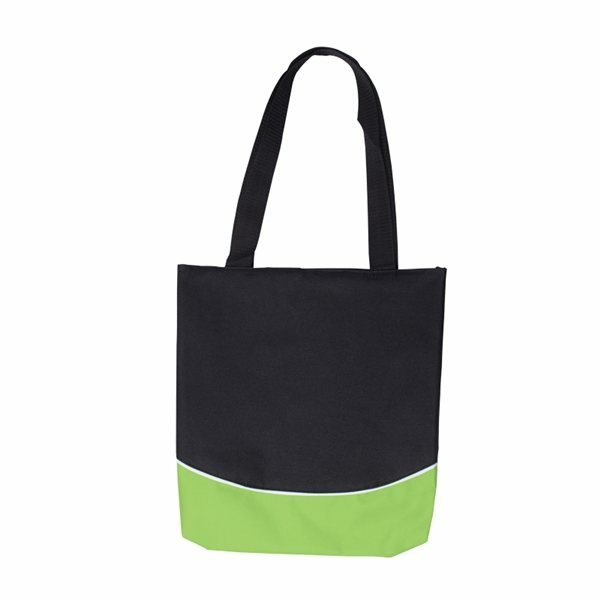 Features nylon web carry handles, approx. 25" in length and 1.25" in width. the artwork is flawless, the materials are top-notch, and they just plain look and feel great. I am proud to pass them out to the congregation. The imprint was very good and the high quality of the item was great. I appreciate the quality and service that AnyPromo.com provided to me. 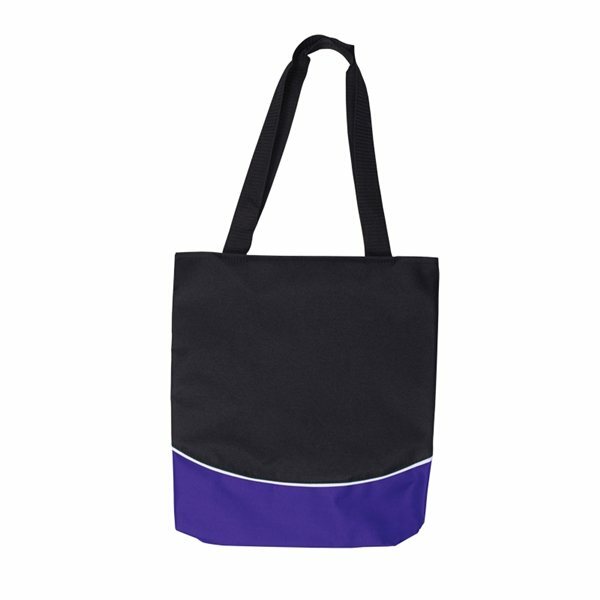 I will definitely reorder those tote bags again in the future. Even though I ordered navy blue and got black, I won't complain because they were a very good price. 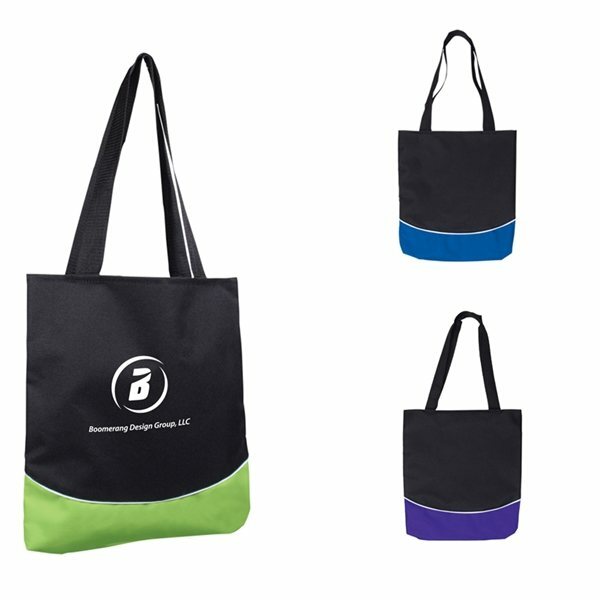 I enjoyed having an inexpensive product that allowed us to have a great quantity to promote our organization with a quick turnaround. Rosa has provided the research on items and has come up with everything we need at the right price. We received them very fast and they're popular. the price was reasonable. I initially wanted it in white but instead it was only available in silver. That was my only qualm but it turned out ok. Exactly what we needed to hand out as merger celebration products.